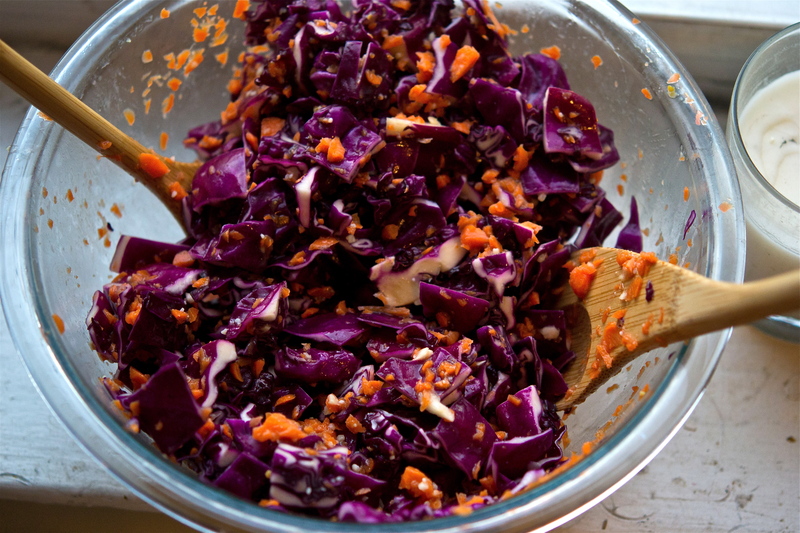 Combine the cabbage and carrots in a medium bowl; set aside. Whisk together all of the dressing ingredients until smooth – add water as needed (until you reach a desired consistency). Pour over the cabbage mixture, and toss to combine – chill in the refrigerator for at least 30 minutes prior to serving.